Like Lewis & Clark’s Corps of Discovery, Building Automation’s Open-Data Frontiersmen are Working Together to Overcome ‘Portage’ Problems. At the beginning of the 19th Century, it was one thing for a President in Washington, DC, or a financier in New York to think about the riches and adventures that could be had by riding the continental waterways from St. Louis to the Pacific, but, it was quite another thing to jump in a boat and do it. Today, there is so much talk about the promise of the Internet of Things, yet it is quite another thing to build it and create value from it. I’ve just put together a collection of articles chronicling what it takes to architect and deploy Buildings IoT workflows that are secure and that support data interoperability. To say that the work being done by the Project-Haystack membership is trailblazing seems an understatement, so I’m comparing it to the Lewis & Clark expedition. The Lewis & Clark Corps survived and made it all the way to their camp near present-day Vancouver, WA, largely because they communicated with Native American tribes and fur trappers to glean what knowledge they could about the terrain ahead and they prepared for that. 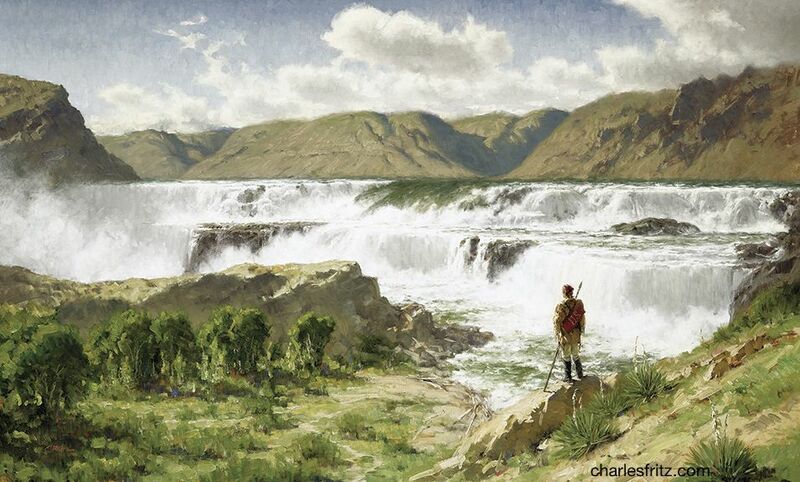 When I read or listen to conversations about Smart Buildings or the Internet of Things, and nothing is said about the issues of semantics, tagging and taxonomy, I sense that the speakers don’t know that they are approaching some very big waterfalls. Project-Haystack was launched by members of the open Building Automation System (BAS) community that first recognized the need for standard semantic tagging and a naming taxonomy. But that doesn’t mean that their work toward better data interoperability cannot open the way for all adopters. As more solution developers, OEM’s and smart building designers and integrators join the open-source community and participate, the faster we will reach a semantic web that supports the entire industry. In a recent Realcomm Advisory, Jim Young listed his top two CRE (Corporate Real Estate) Tech observations: “There are a lot of new companies and good ideas. There are multiple sub-communities that do not communicate with each other.” To cite one of the lessons of the Lewis & Clark expedition one more time: address the challenge of communicating with those in-the-know first. Don’t forge ahead without knowing all you can about the perils. So the status quo Jim describes is not good enough. One goal of the new Project-Haystack Connections E-zine is that we communicate as well as we can about our community’s activities and progress in the build-out of our portion of the semantic web.